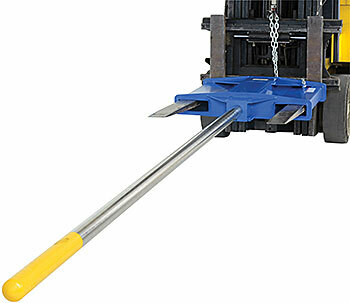 HOF Equipment Company has a wide array of Forklift Carpet Poles and Coil Rams to meet your requirements. Our selection of carpet rams range in length from 9 feet to 12 feet. 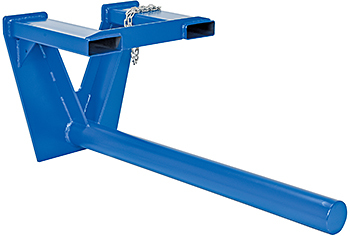 Coil rams vary in length from 24” to 60”. Various forklift attachment types are available including fork mounted, class II carriage mounted, and class III carriage mounted. 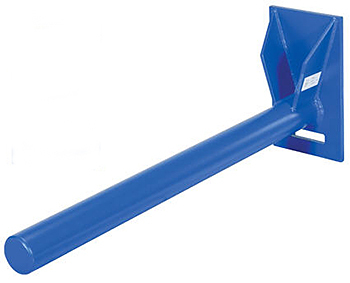 We also carry inverted fork mounted poles that allow the roll to pass under the forks avoiding accidental roll damage from the forks contacting the roll. Poles are all steel construction with a 2-3/4 diameter. Most poles leave the warehouse in three business days. Shipment is via truck freight. Contact HOF Equipment Company today if you would like input on choosing a carpet pole or coil ram. You may also view our top quality selection online!